What are the Popular places to visit in Arizona? Arizona is the sixth largest state in the United States, and is growing fast. As a result, it attracts many people from around the world. It comes as little surprise then, that airports in Arizona receive a large number of national and international visitors. What they say is true; Texas's answer to Silicon Valley, it is a tech town with a hippie heart. With more than 250 music venues, it is nicknamed “Live Music Capital of the World.” Founded in 1839, it was named after the "Father of Texas” – Stephen F. Austin – and is home to the University of Texas. The international airports in Arizona are Laughlin Bullhead International Airport, Phoenix Sky Harbor International Airport, Tucson International Airport, Yuma International Airport, Bisbee Douglas International Airport and Nogales International Airport. 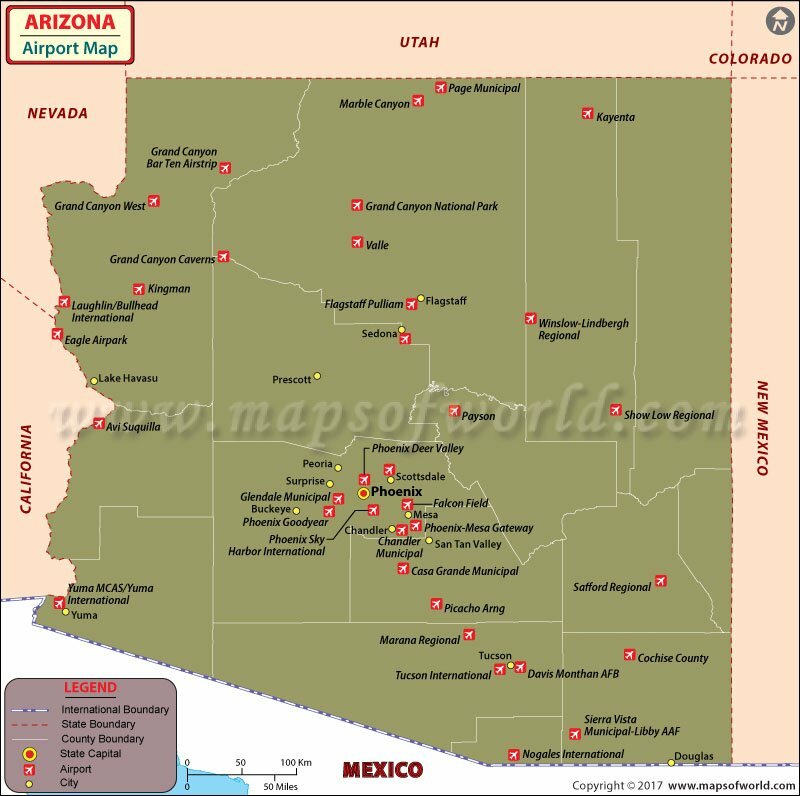 Other major airports in Arizona are located in Sierra Vista, Grand Canyon Village, Duncan, Page, Marble Canyon and Kayenta. Phoenix Sky Harbor International Airport, located in the state's capital city, is a busy airport, with daily traffic of almost an 110,000 people. 23 airlines have daily operations at this airport. Aerolitoral, US Airways, Alaska Airlines, Continental Airlines, United Airlines / Lufthansa Airlines, American Airlines, Delta Airlines / SkyWest, Frontier, Northwest / KLM and Southwest Airlines. Airports in Arizona are built to a world-class standard and try to provide customers with the best services in the industry. Most of the airlines at Arizona's airports provide online booking services for convenient traveling.